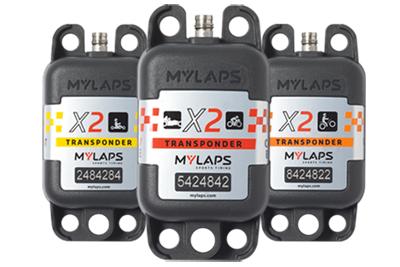 The X2 Racer pack includes an X2 Transponder as well as an X2 RaceKey and everything you need to get it to work. X2 Transponders are the successors to the well-known TranX transponders. Racers know that practice pays off. Whether you ride motorbikes or prefer to race on four wheels, insight in your performance makes you better. The new X2 Racer pack is capable of showing you a new range of valuable race data and insights. All your data is published to your personal mylaps.com account, where you can thoroughly analyze your training and race information. Includes the MYLAPS Speedhive app gives racers quick access to official results of motorized sport events. It shows personal event results, detailed lap times and in depth analysis for each individual racer. The app is free for download and is available for iOS and Android. This app will replace the current MYLAPS Event Results app. Transponders will be available for pickup at Florida Trackdays Events and at Florida Motorcycle Road Race Association race weekends. Plan ahead and purchase online and FMRRA will help with set up and charging. Just show up to an above event and we’ll have the transponder ready for you to use! Weekend transponder rentals are also available for race weekends.